If you aren’t already a coffee drinker, this article just might change your mind. Research presented at the 2014 Alzheimer Europe Annual Congress stated that a recent study found that those who drank coffee on a regular basis were much less likely to develop Alzheimer’s disease. Alzheimer’s is perhaps the most devastating type of dementia, slowly but progressively robbing people of their ability to learn new things. Then patients find it difficult to remember recent things, later, it’s difficult to remember just about anything, while having hallucinations at the same time. Those older than 65 are at the biggest risk for developing this disease, an age that many baby boomers are fast approaching or have just passed it. More than 10,000 people will turn 65 every single day over the next 17 years, and with no cure for Alzheimer’s, no preventative treatment, as well as no real known cause, this presents scientists with a real dilemma. That’s why this is such good news. The discoveries in this report can help further the understanding of the role that nutrition plays in protecting or preventing the development of Alzheimer’s. This study found that drinking three to five cups of coffee each day can reduce your risk of developing Alzheimer’s by 20 percent. With approximately 83 percent of the American population drinking coffee daily, we can only hope that this will reduce the amount of Alzheimer’s cases in this country. 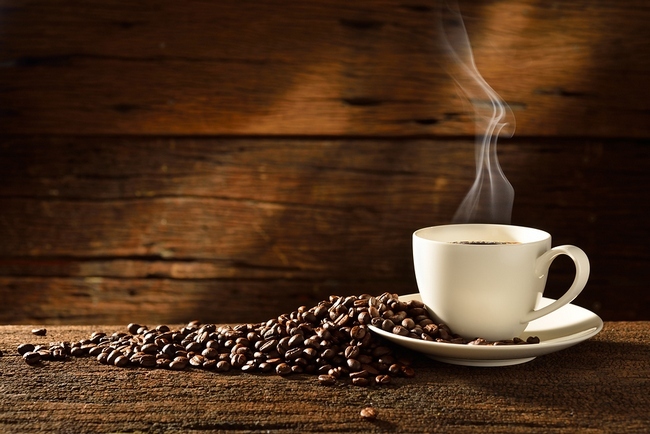 Coffee is loaded with plenty of good things, such as powerful antioxidants. The antioxidants in coffee are the same type that are found in the Mediterranean diet and prevent the formation of amyloid plaques and neurofibrillary tangles. The antioxidants in coffee can also reduce the deterioration of brain cells and reduce inflammation. It can also stop the deterioration of brain cells, especially in the cortex and hippocampus, which are the areas of the brain responsible for our memory.